The Northeast Iowa Family STEM Festival had taken place on Thursday, October 18 at Upper Iowa University in Fayette. The festival was free and open to students of all ages and their families. 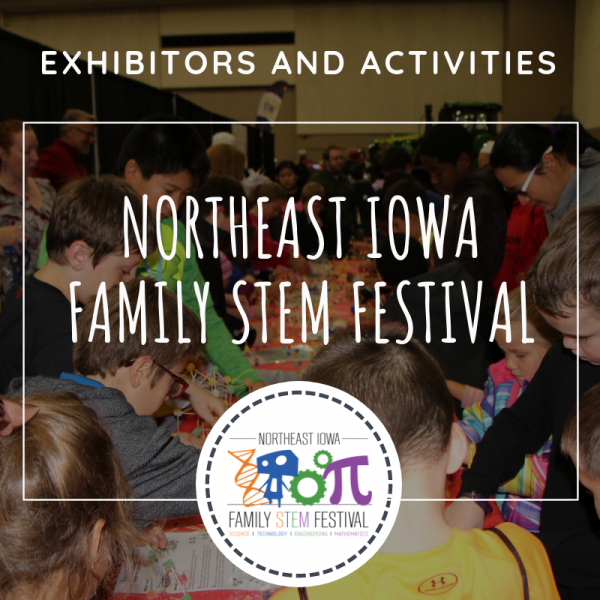 The Northeast Iowa Family STEM Festival is a community-wide partnership led by the Northeast Region of the Iowa Governor’s STEM Advisory Council at the University of Northern Iowa, Upper Iowa University, Central Rivers AEA, County Extension and Outreach, IowaWorks, Keystone AEA, Northeast Iowa Community College, Fayette County Economic Development, North Fayette-Valley Community Schools, Oelwein Community School District and Helping Services for Youth & Families and the TigerHawk Connections Learning Center.